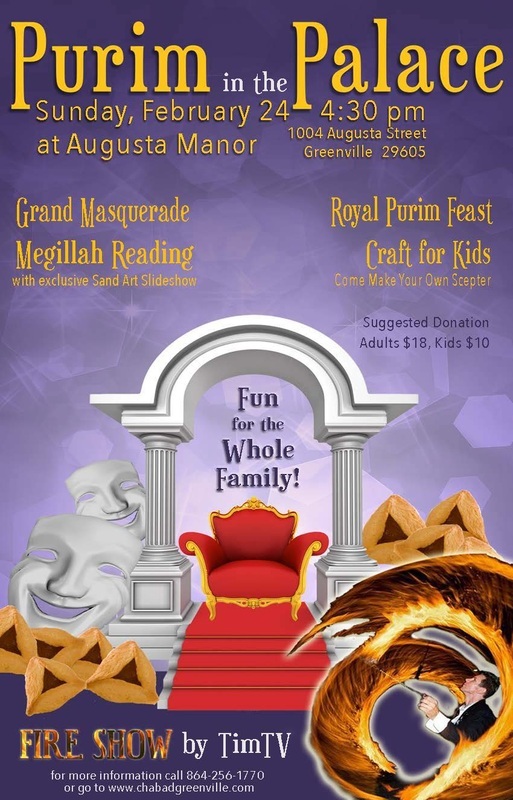 Come join the community for a GRAND PURIM PARTY! 1004 Augusta Street, Greenville 29605. Special craft for the KIDS - come make your own scepter! Come be dazzled by an AWESOME FIRE SHOW! Hear the Megillah being read while watching the scenes be created in a Sand Art Slideshow!! Looking forward to PARTYING together! *Bring a friend - let them in on the fun!